Pregnancy is a revolutionary period in a woman’s life – a realization of which is a breakthrough moment, that requires you to slow down, stop and introspect. Birthing ritual is a meeting in a trusted circle of women celebrating the arrival of a new life. The ritual does both jubilate womanhood and life as well as honour the female body and beauty. Thus it helps to create opportunity for the future mom to enjoy and fully tune in to this magical period. The goal is to provide the future mother with an ambience of serenity and security in the circle of women close to her. With this support the fear of the uknown can be overcome with ease and the birth of the mother and child seamless. Rituals are organized in the form of afternoon sessions accompanied by various traditional activities and a little feast in the circle of selected guests. Details are open to change to suit individual needs. 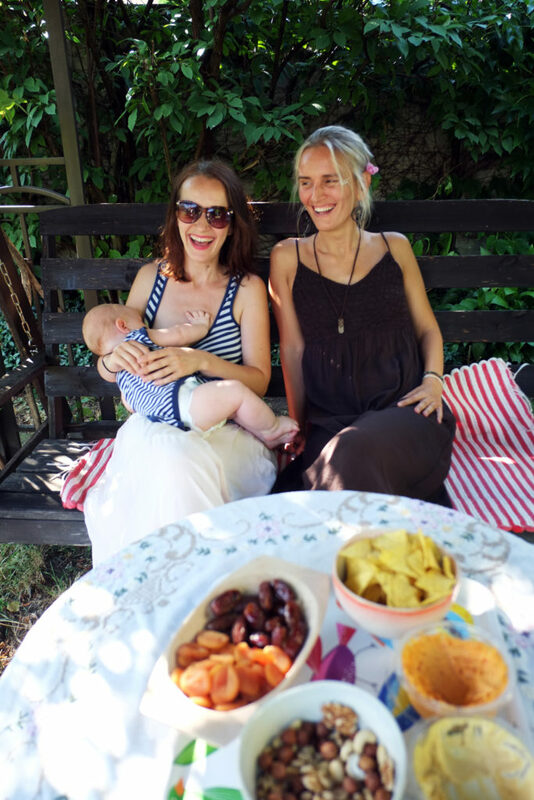 Katarina Jurenkova – doula, hypnobirthing instructor and pregnancy yoga teacher. Both guides are avid supporters of active and conscious preparation for giving birth and natural birthing techniques.